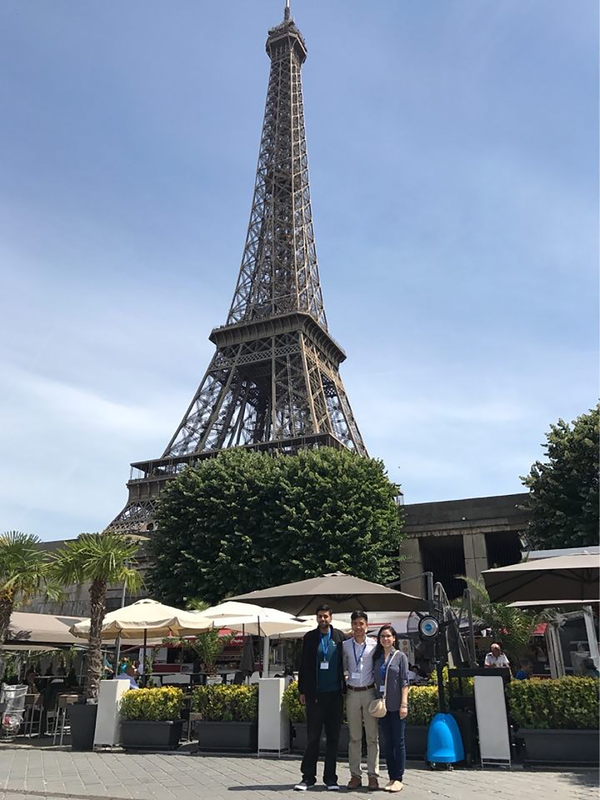 HOUSTON (June 28, 2017) – Three Lone Star College students were selected to participate in a prestigious study abroad program in Paris, in partnership with the French Embassy. The N+1 Engineering Institutes Program is designed to propel engineering students by enhancing their knowledge of future technologies while focusing on environmental preservation. Mueed Ahmad, LSC-North Harris; Patrick De Paula, LSC-North Harris; and Monica Argumedo Rendon, LSC-Kingwood were among 10 students who were selected nationwide to expand their education in their chosen STEM fields in an immersive scientific program with expert speakers, panelists and site visits, affording a wide range of perspectives. Lea Futschik, Education Attaché for the French Embassy in New York, says the advanced level of undergraduate research Markovic received at Lone Star College made her the perfect candidate to be the first student selected for the N+1 “Community College Abroad in France” initiative. “Not only do our students receive world class educational opportunities, they’re also exposed to cultural engagement, travel, internships and highly competitive scholarship opportunities. Programs like these provide soft skills that companies are looking for,” said Dr. Katharine Caruso, LSC associate vice chancellor of International, Honors and Engagement Programs. The three students who traveled to Paris this summer saw the Eifel Tower and other famous tourist sites, but they also got behind-the-scenes access with visits to the Ministry of Foreign Affairs, discussions with leaders of major science and technology corporations, and debates led by scientific experts. They learned about issues surrounding urban farming, biomass conversion, recycling initiatives, waste processing and energy transition, urban logistics and other cutting-edge research initiatives. “Through a very comprehensive and high-level curriculum, the Honors College at Lone Star College students are very competitive and easily adapt to a new environment as they go on with their studies or on the job market,” said Futschik. The French Embassy in the U.S. plans to invite more Lone Star College students to apply next year as they expand their study abroad and internship programs.